Two decades is almost a lifetime in technology terms. Things have changed a lot since 1999. But why are we even talking about 1999, you ask. 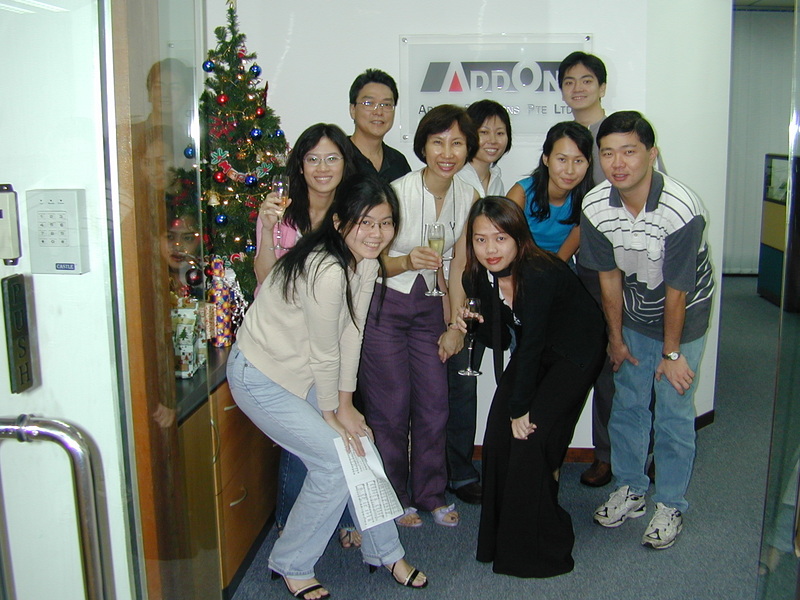 On 18 January 1999, a small three-man team in Singapore started an enterprise resource planning reseller business in a tiny apartment study room. That’s right, AFON is now 20 years old (hooray!). 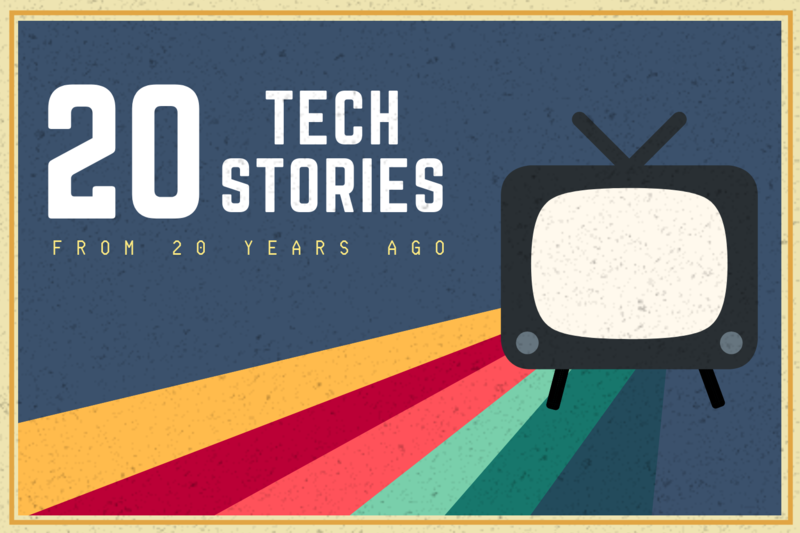 To celebrate this milestone, we look back to see how technology has changed since then. Anyone remember Excite.com? The search engine has long faded into obscurity since its 90s heyday. Yet in 1999, Excite had the opportunity to buy Google for just US$750,000. Back then, Google’s co-founder Larry Page contemplated continuing his doctoral studies at Stanford University. He sought buyers for BackRub – as Google was known. Excite seemed like a good choice as they were second to then-search champion Yahoo. When the team got to Bell’s office, it fired up BackRub in one window and Excite in the other for a bake-off. The first query they tested was “Internet.” According to Hassan, Excite’s first results were Chinese web pages where the English word “Internet” stood out among a jumble of Chinese characters. Then the team typed “Internet” into BackRub. The first two results delivered pages that told you how to use browsers. It was exactly the kind of helpful result that would most likely satisfy someone who made the query. Bell was visibly upset. The Stanford product was too good. If Excite were to host a search engine that instantly gave people information they sought, he explained, the users would leave the site instantly. Since his ad revenue came from people staying on the site — “stickiness” was the most desired metric in websites at the time — using BackRub’s technology would be counterproductive. 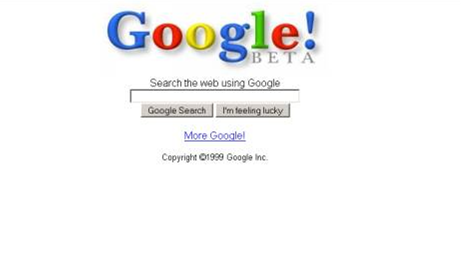 Nearly 20 years later, Google posted its first US$100 billion year in 2018. As for Excite? The company went bankrupt shortly afterwards in 2001. On January 1999, RIM released the first BlackBerry device. Known as the BlackBerry 850, the small device had a monochrome screen and tactile keyboard, and supported email functions and limited internet browsing. Since then, the brand’s gone through a spectacular rise and fall in popularity. 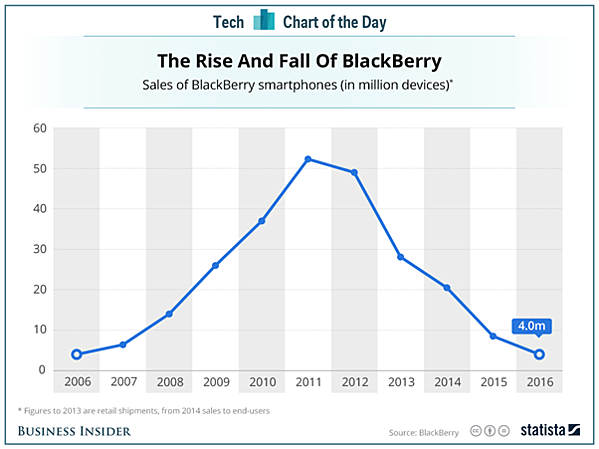 Today, BlackBerry no longer produces devices, having shifted its focus to developing software. New phones bearing the BlackBerry brand are instead produced by budget phone maker TCL. Built by David Smith, the mass-mailing virus started infecting computers on March 1999. In just hours, the virus had spread around the world by targeting Microsoft Word and Outlook-enabled systems, causing about US$80 million in damages. But while Melissa gained notoriety for being one of the fastest spreading viruses in history, it wasn’t the first Outlook-enabled virus. That dubious honour goes to Cold Ape, built in response to a magazine editor’s public scorn towards a virus writer. Within days he was swamped with emails from infected users informing him they wanted to make ‘hot monkey love’ with him – costing his company hundreds of lost work hours. From its humble beginnings in Jeff Bezos’s garage, Amazon has since grown to become the world’s most valuable public company. It has also made Bezos the first centi-billionaire on the Forbes wealth index, with a net worth of US$150 billion. 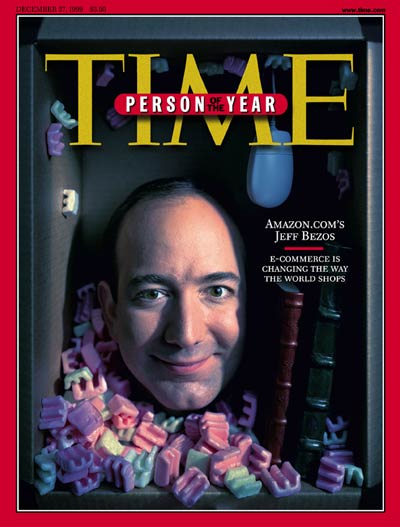 Alas, 20 years on from his 1999 Time feature, Bezos’s name is making media rounds for another reason – a very public (and expensive) divorce. 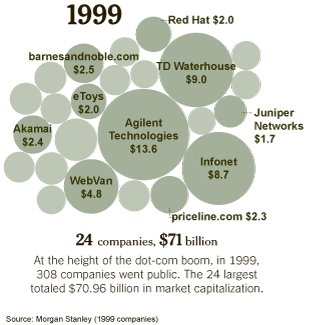 In the business world, few names made such a big splash in 1999 as Salesforce. Touting themselves as the first salesforce automation software company to deliver software-as-a-service (SaaS), Salesforce grew spectacularly in popularity – even in its first year. 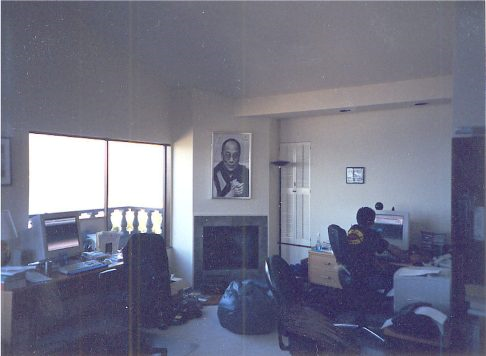 The company started in a one-bedroom apartment in March 1999. Just eight months later, they moved to an 8,000 square-foot office with people working full-time in conference rooms. Today Salesforce boasts over 29,000 employees and a revenue of US$10.5 billion. The company also covers everything from sales and marketing automation, to digital commerce and IoT integration and analytics. 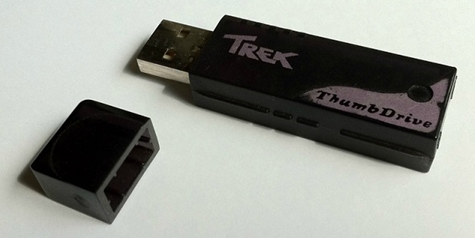 These days, no one bats an eyelid if you use a Universal Serial Bus (USB) flash drive to store files. In fact, you’re more likely to get a raised eyebrow if you do, thanks to Cloud storage services like Dropbox. But there was a time where USB flash drives were nothing short of revolutionary. In April 1999 an Israeli company called M-Systems (later known as SanDisk) filed the first patent for a ‘USB-based PC Flash Disk’. While accounts vary over who started selling it – one version says a Singaporean company was the first, even winning the trademark for ‘ThumbDrive’ – it’s generally agreed IBM was the first company to sell USB flash drives in the U.S. Despite only holding eight megabytes, the USB flash drive soon displaced the old 1.44-megabyte floppy disks. And the price? A hefty US$28 - $50 for one flash drive. In July 1999, Microsoft Corp became the first company to reach US$500 billion in market value. This was a staggering amount back then, especially when you realise that was equivalent to being the ninth largest economy in the world. Netherlands for example, had an estimated GDP value of US$378 billion, putting it far behind the technology giant. Observers said that Microsoft’s growth could be largely credited to the explosive surge in demand for personal computers, and Bill Gates’ own zealous efforts for the PC business. Every kid (and kid at heart) in 1999 will recall AIBO, the robot dog marketed by Sony as being capable of interacting with humans. Powered by sensors and artificial intelligence, the silver beagle could perform complex movements and respond to external stimuli. It grew so popular in Japan that Buddhist funerals have been held for beloved pet robot dogs that had ‘passed on’. 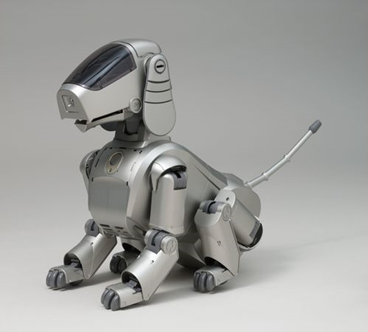 Although Sony discontinued the robot series for a decade, they relaunched AIBO in 2018 in the Japan and U.S. markets, where the power pooches sold out in mere hours. Named after a Viking king who united Norway and Denmark in the 10th century, Bluetooth was designed in 1994 with the intent of replacing RS-232 telecommunication cables. As a flexible packet-based protocol, it could cater to cater to whatever RS-232 was used for – and required far less power than the latter. In 1999, the first consumer Bluetooth product was launched. A hands-free mobile headset, Bluetooth 1.0 won COMDEX’s ‘Best of Show Technology Award’. Today, Bluetooth has evolved to cater to everything from device pairing and file sharing, to accessories and wireless music, with some experts estimating over 10 billion devices shipped worldwide end 2018. During the 90s, Microsoft realized they couldn’t miss out on the rise of instant messaging platforms like ICQ. 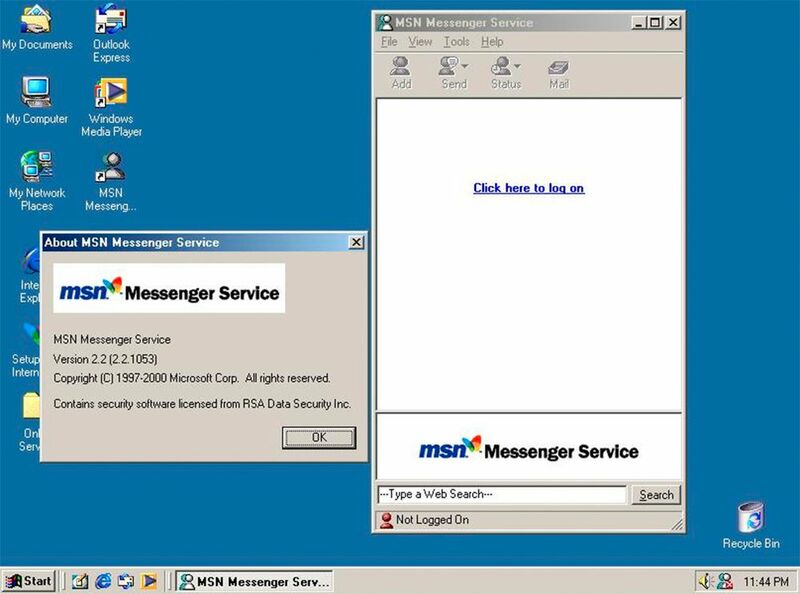 So they launched Microsoft Messenger in 1999. "MSN Messenger Service tells consumers when their friends, family and colleagues are online and enables them to exchange online messages and email with the more than 40 million users of the MSN Hotmail TM Web-based email service as well as with people using AOL Instant Messenger." Over the next few years, the company added photo sharing capability, games, and social network integration. They also renamed the service Windows Live Messenger in 2005. Sadly, the service didn’t last long. Microsoft retired the messaging service in 2013 in favour of Skype, which they acquired two years prior. While not exactly a tech story per se, The Matrix goes down in the history books as one of the most iconic sci-fi movies ever made. 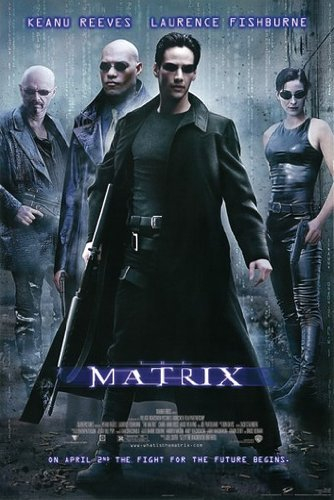 Set in a dystopian future in which humans live in a simulated reality built by intelligent machines, the movie became the fifth highest grossing movie in 1999 and changed the way Hollywood filmmakers shot action movies. Apart from its pop culture legacy, the film has been preserved in the National Film Registry by the Library of Congress for being "culturally, historically, and aesthetically significant”. Today it’s also referred to – often jokingly – by those fearful of the rise in artificial intelligence development. For much of the 90s, ERP systems were huge in the business world for their ability to bring operations together. SAP, the market leader for ERP, was touted as the second Microsoft. Other ERP brands like Baan also made headlines. Then reality hit in 1999: Baan collapsed after an accounting scandal. SAP saw its share price plummet after its NYSE debut. Customers felt ERP vendors missed the online wave, lacked front-end applications (like Siebel System’s CRM), and were too slow in adapting client/server architecture to new digital challenges. Fortunately, ERP vendors have adapted to the Cloud and proved naysayers wrong. Many are seeing SaaS revenue overtake traditional license and maintenance revenue – a trend expected to grow. As one Gartner analyst puts it: “We still see the (US$30 billion) ERP market as a solid and buoyant market”. Ironically, Siebel Systems no longer exists today. Having clung to the shrinking on-premise enterprise market (while Salesforce happily conquered the small and mid-market space) – Siebel found themselves hit hard by the early 2000s recession. Eventually, they had no choice but to sell their business to ERP software giant Oracle. Here’s yet another piece of Microsoft trivia. In 1999, the company released a 6-minute video segment ‘predicting’ what the home of the future might look like. While certain objects seem obsolete (e.g. bulky cell phones), the technology behind the innovation – biometric identification for example – is pretty spot on. Speaking of the future, who could forget the global panic over Y2K? Everyone feared that once 1 Jan 2000 started, computer systems worldwide would shut down because they weren’t programmed to begin the year with ‘20’ instead of ‘19’. Stock prices dropped over fears that financial institution systems would fail. Some avoided flying because of rumours that planes might fall mid-flight due to system errors. Even government organisations and private businesses scrambled to resolve the issue, spending millions in the process. But once the clock hit midnight on that ‘fateful’ day, nothing terrible happened. Systems quietly upgraded to the new date, and computer experts were accused of grossly exaggerating the problem. One of the top 10 most valuable and biggest companies in the world, the Alibaba Group began quietly in founder Jack Ma’s apartment in Hangzhou, China. Their first website was an English-language global wholesale marketplace and has since grown to having operations in 200+ countries. In 2014 – just 15 years after it started – Alibaba Group made history with the world’s largest IPO of US$25 billion. Today, the company provides C2C, B2C, and B2B sales services via web portals, alongside e-payment services, cloud computing services, and more. In 1997 the term ‘weblog’ was first coined by Jorn Barger, of the early blog Robot Wisdom. He created the name as a reference to the process of ‘logging the web’. But it was only in 1999 when the programmer Peter Merholz shortened it to ‘blog’ that the name stuck – and still is today. 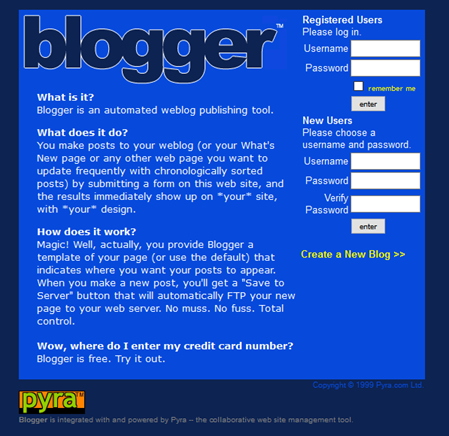 In that same year, Pyra Labs launched a free blogging platform called Blogger. Although there were several alternatives around at that time as well, Blogger has been largely credited for making blogging accessible to the mainstream audience. Long before Dell CEO Michael Dell claimed they were the first to have wireless technology notebooks, Apple did it with the iBook. 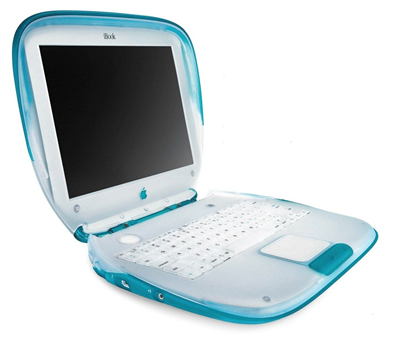 Launched in 1999, the candy-coloured laptop came with integrated antennas for wireless ethernet (Wi-Fi) support. Apple was also the first company to openly declare that Wi-Fi is the future, helping to usher the later industry-wide adoption of wireless networking. The late 90s saw countless examples of technology stocks returning 100% or more in a year. This success (and novelty) spurred retail and institutional investors seeking quick wealth, with many throwing rationality out of the window. Companies that simply added a ‘.com’ to the end of their names could gain 74% on the market within 10 days. Over 100 such stocks doubled on the first day alone in 1999. This infamous ‘dot-com bubble’ neared its peak in 1999, before crashing in early 2000. Today, tech stocks are once again the stock market’s darling, leading to speculations we are heading towards a similar bubble and crash. The tech bubble of 1999 ended in a recession that lasted until 2002. 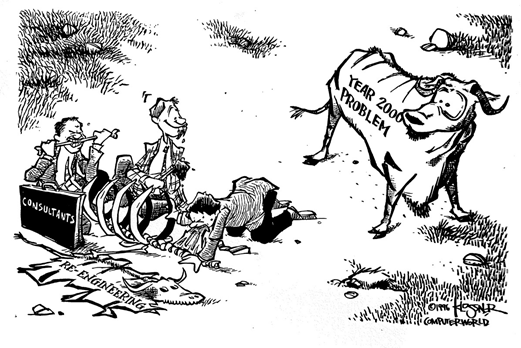 It remains to be seen whether history will repeat itself this time. Napster disrupted the music industry when it brought about a new way for people to share and download music without paying. The peer-to-peer (P2P) file sharing service soon grew to over 80 million users. It also contributed to the decline and eventual death of the record store, and outcry from the music industry. Under intense scrutiny and lawsuits, the company had to shut down in 2001. Having said that, Napster’s legacy is still felt today through illicit streaming and legal music streaming services like Spotify. It isn’t too far-fetched to say that it has greatly changed consumer expectations of music accessibility. AFON first began as a three-man team sharing one laptop in a small apartment room, selling the ERP system Sage 300 (previously known as Accpac). Despite the competitive local market, we quickly beat over 30 Accpac resellers to emerge as Singapore’s Top Premier Partner for Accpac in 2002. Today, apart from Sage, we also represent three Tier 1 ERP brands – SAP, Microsoft, and Oracle-NetSuite. We’ve established a customer base of over 500 companies, with accolades including Singapore’s Top SAP Business One Partner, Singapore SME 1000 Award by DP Information Group, and the Enterprise (E50) Awards by KPMG. And as of 2017, we’re a proud member of The EOH Group of Companies – a billion-dollar listed organisation with a global presence in over 50 countries. It’s been a long and exciting journey over the past two decades. How about you? What's happened for you since 1999?